I’ve been experimenting with preserved lemons for a while and i absolutely love them. I love the saltiness, the amazing citrus flavour and their ability to bring what I would consider pretty boring dishes (Like Quinoa or Couscous) to life. I love using them but man, those little flavour bombs are kinda pricey!! To get a jar of those beauties can sometimes cost 12-13 dollars in a specialty food store and $8-9 dollars in a persian food store. I have paid this before and I will admit, just one of those tiny lemons goes a LONG way in the flavour department so I always have the ability to rationalize the insane price. 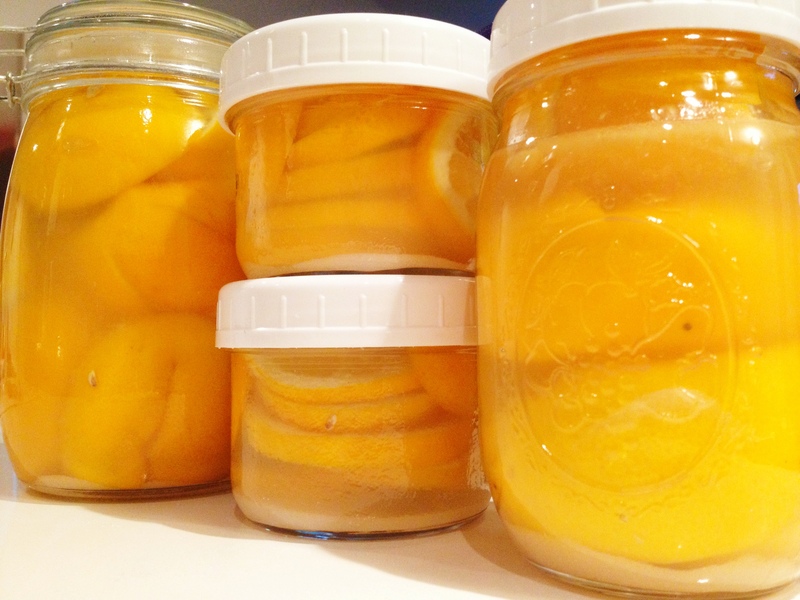 If you are not familiar with preserved lemons, they truly are awesome. They are traditionally used in Indian and North African cuisine. You seem them in a variety of different shapes and sizes, sometimes quartered, diced or even whole, usually pickled in a brine of water, lemon juice and salt. Sometimes you can even see spiced/seasoned versions with coriander seeds, bay leaves and peppercorns. They are very salty so it’s best to rinse the salt off before using. The great thing about preserved lemons is that once they have ‘preserved’ you can actually use the rind, chopped up in your dish. So you can use the whole darn thing, rind and flesh to liven up dishes. This week while shopping at my local grocery store, I saw a pretty good size bag of tiny organic lemons (similar in size to the ones in the jars i’ve purchased) for sale and thought…I could probably do my own preserving. 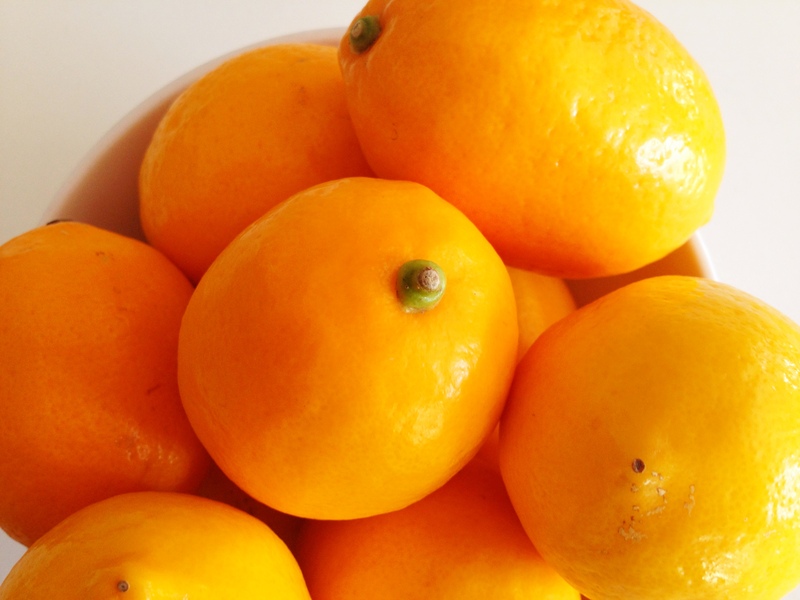 Then as I continued to stroll through the produce department, I saw these amazing bags of GORGEOUS Meyer lemons that were also on sale…6 for $3.49. For Vancouver prices, this is an absolute steal. I knew at that bright yellow moment…it was ON, oh it was on. I was about to see my name in bright lights “Preserved Lemon Goddess”, my dinner parties were about to get more awesome because people would wonder just how I got that beautiful exotic citrus taste to transfer to their plates in the middle of winter and I would preserve these little gems in the most beautiful of jars so beautiful they could almost be the center piece on my tableau. I got home and had to find some jars that would be perfect for these lemons. Um, well…they probably aren’t going to make the centre piece of the year but they would do for stuffing lemons. I found an old glass peanut butter jar, a few mason jars that were smaller in size and one of those spring top jars. We were in business! 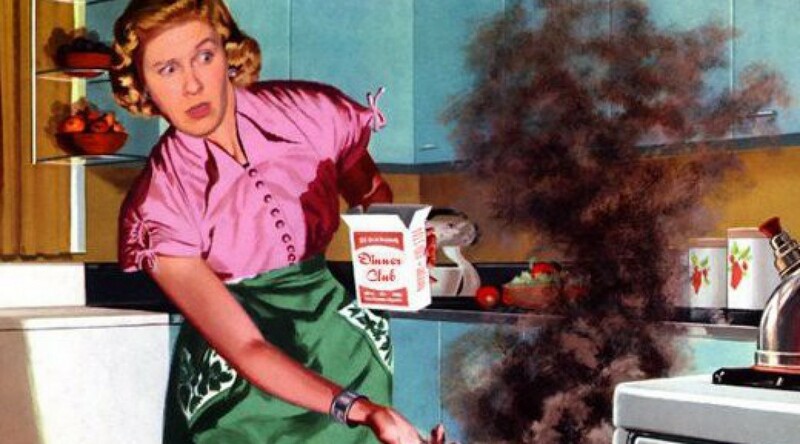 First sterilize your jars. You need to wash them in hot soapy water and rinse. Then boil your kettle and fill each jar about half way. Place in the oven at 350 degrees for about 30 minutes. This will sterilize your jars. 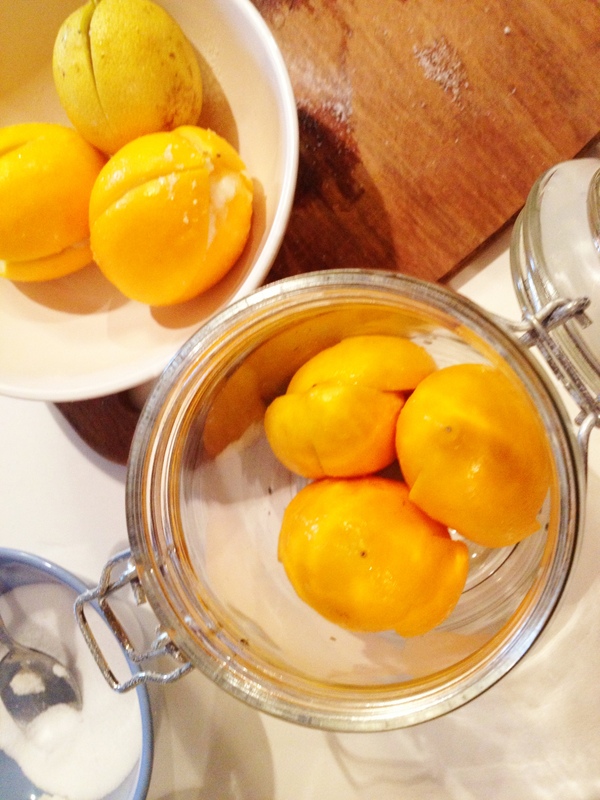 While your jars are sterilzing, start to prep your lemons. I did mine two ways (simply due to the kind of jars I had and what would actually fit in them). First I quartered a batch of lemons. 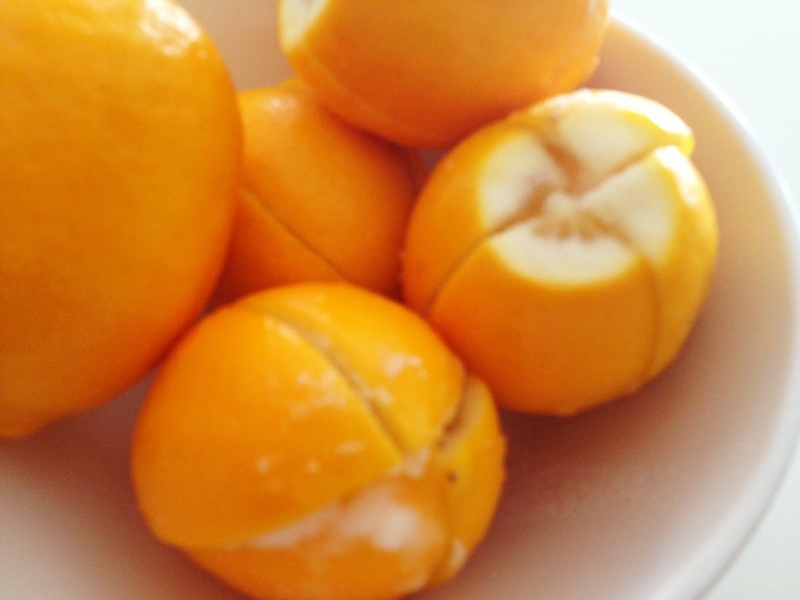 When quartering them, leave enough of the lemon in tact at the end so it doesn’t actually split in to 4. You want the lemons in tact. 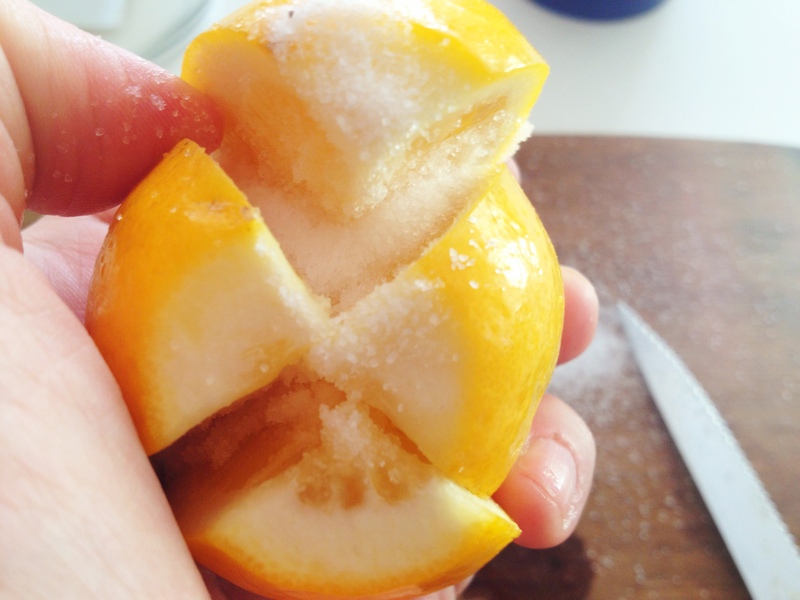 Next put about 2 tsp of sea salt (do not use table salt) per lemon and try to close it back up. Repeat until all of your lemons are stuffed with salt. Stuff lemons in to your jars. 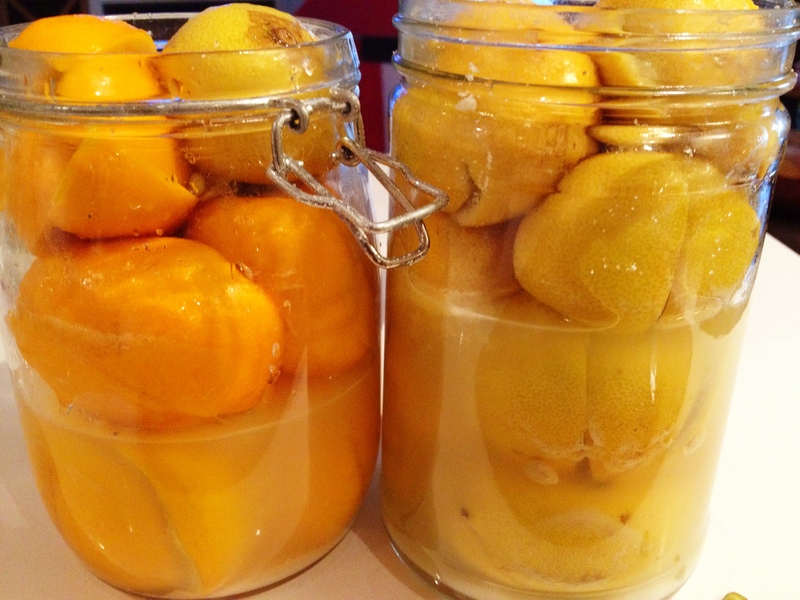 You want to fit as many lemons as possible in to each jar. 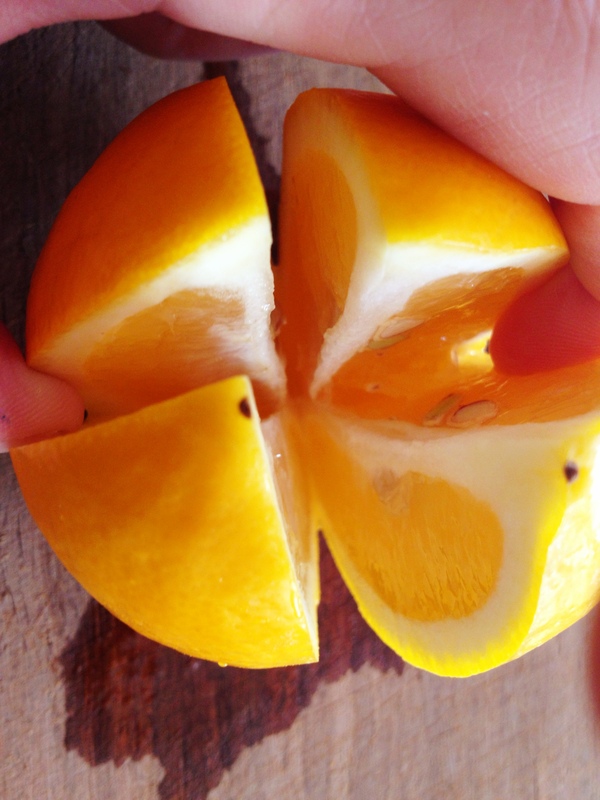 Minimize the amount of space inbetween each lemon to limit the amount of air between. Stuff them in to your jar. Put about another Tbsp of salt on top, place about half a cup of lemon juice in the jar and then top with boiling water. You want to make sure your lemons are covered. 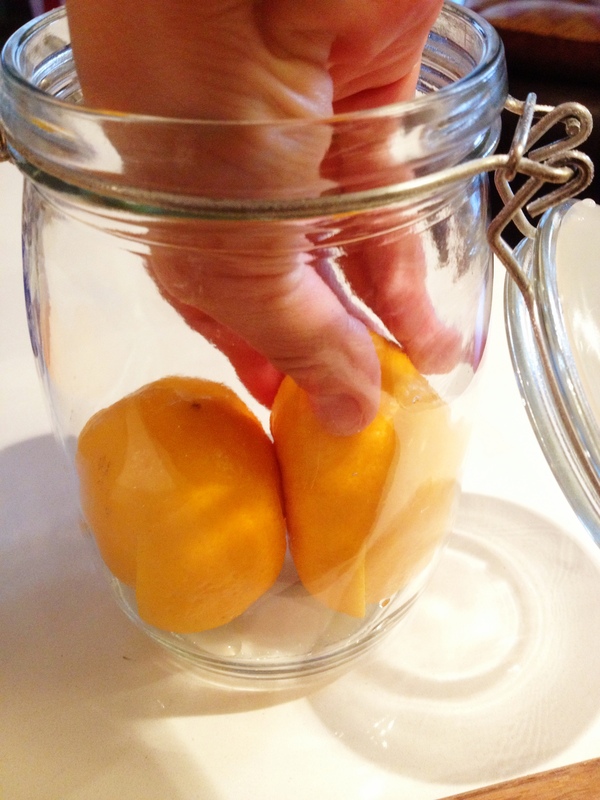 Start stuffing as many lemons as you can fit in to your jars. I also did lemon slices for the smaller jars and just put salt inbetween each slice, same process with the lemon juice and water. Then after you have sealed the jars, you will want to find a dark and cool cupboard to place them in so let them do their citrus magic. The whole process should take about a month. I checked on mine after 3 days to make sure there was still liquid to the top and the lemons were covered. 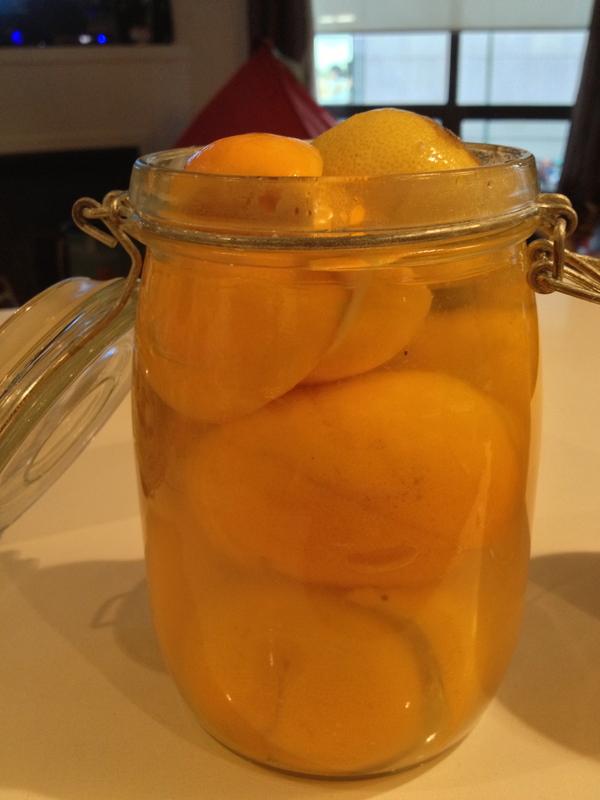 If they have sunk to the bottom and you have more room in your jar, fill with more lemons. I turned my jars upside down a few times to make sure I got all the salt around. Placed back in the cool cupboard until they are ready. Once these preserve/pickle for the month, they are ready to use and can be used for up to 2 years. Once you have opened one, please keep in your fridge. *They also make excellent gifts! !